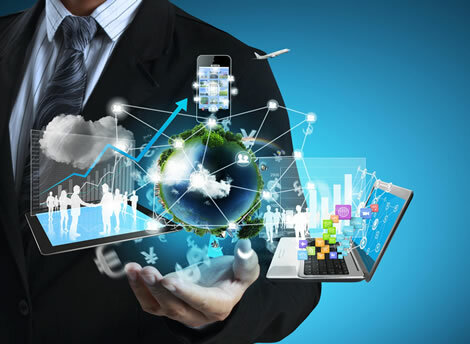 TTT Global: Touch The Technology..
TTT Global has the power to create domestic and international cooperation according to the scope and need, to gather the professionals who have a great name in their field and to create synergy with common intelligence in the projects that it undertakes. In a world of increasing competition, business environment presents asymmetric threats and opportunities. Asymmetric threats cannot be countered by symmetric approaches. We have to think differently, be more flexible and be decisive under any circumstances. Remember that there is always a solution; the matter is how close you are to it. TTT Global, delivers solution. Change shows up so fast that you have to be in close touch with it in order to be able to adapt to changes. The uncontrollable pace of change creates a new paradigm and defines the fourth dimension of business life. It is so complicated to define, to frame and to limit the behaviors in business life. This fact stands in front of us like a naked truth. However our chance of success in the future will depend on our ability to manage the uncertainties. As long as we can understand the uncertainty and changes that we experience, we will get the chance to see the appropriate solutions. The most obvious megatrend to impact the technology industry is technological breakthroughs. As the world continues to adopt technology-enabled lifestyles and businesses, more will be expected of the industry. Innovation, disruption and pace-of-change will continue to be the name of the game. In an industry where regulation has a hard time keeping up, we expect continual compliance challenges in such areas as data protection, privacy, and intellectual property protection. But what about demographic and economic shifts? Where will tech companies be sourcing talent in the future? The more mature technology companies in developed markets have been a driver in virtual sourcing of overseas, cheaper talent, often from emerging economies. As a result, emerging economies have become more sophisticated, especially in the technology industry. What compliance factors do tech companies need to consider as they scale up in those markets to expand internationally? •	Customize you and your life. Intelligent personal assistants (or simply IPA, which is a software agent decides to respond) can perform tasks or services for an individual. These tasks or services are based on user input, location awareness, and the ability to access information from a variety of online sources (such as personal outlook, weather or traffic conditions, news, stock prices, user schedules, check-in details, retail prices, etc.). •	Help build resilient strategies that can withstand disruption — while positioning their own companies as disruptors — in a compliant manner. •	Help emerging-market tech company leaders plan compliant entries into mature markets, which feature tougher regulations on everything from IP to data protection. •	Advise on the ethical, compliant sourcing of new, low-cost labour for developed-market technology businesses. •	Be a super-equipped adviser with the most advanced data analytics resources and the ability to monitor the fast-changing regulations around the world. •	Stay at the forefront of assessing the viabilities and vulnerabilities of changing business models. •	Help their company to weather change through slick multi-channel communications methods — focused internally, to investors and to the market.